Our 1200mm wide corrugated paper rolls are ideal for protecting a wide range of things including furniture. It can also be used as a void fill to fill gaps in cardboard boxes and prevent movement of goods during transit. 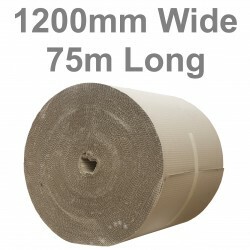 These cardboard rolls measure 1200mm / 120cm (1.2 metres) / 47" or 4' approximately in width.